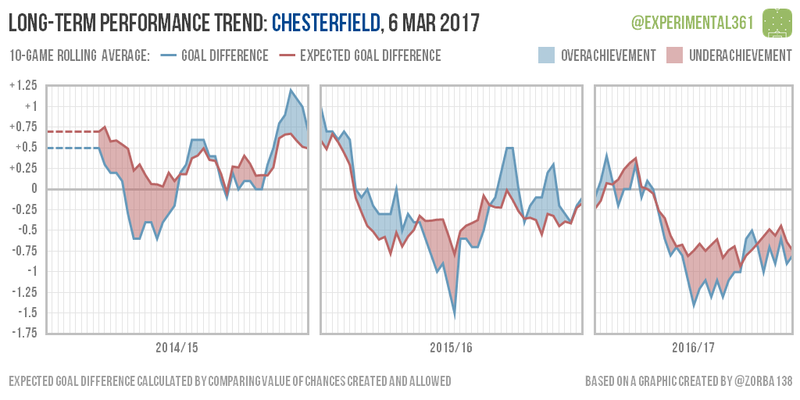 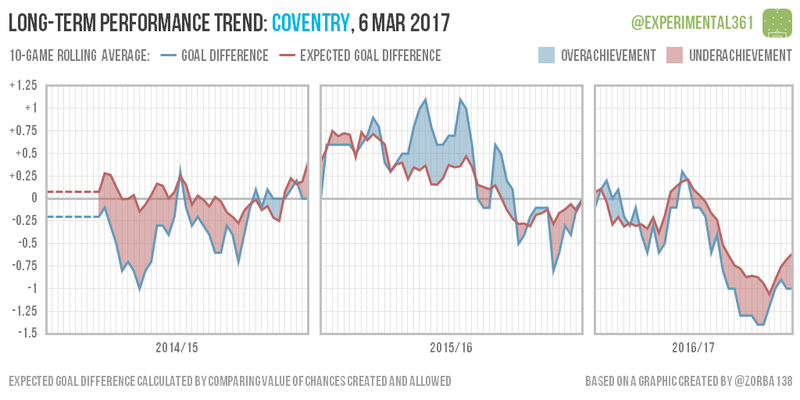 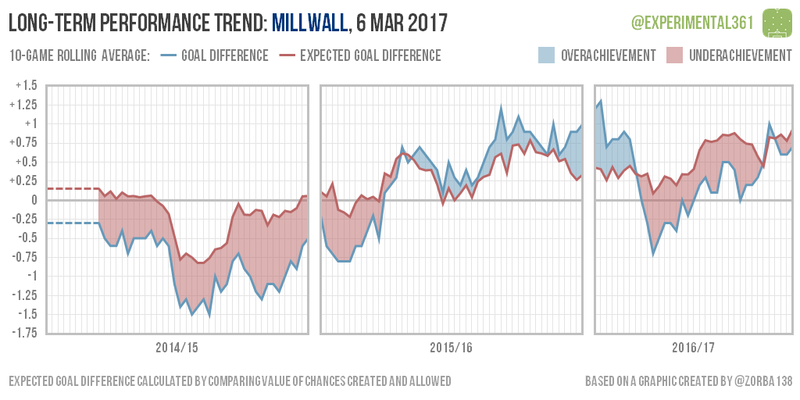 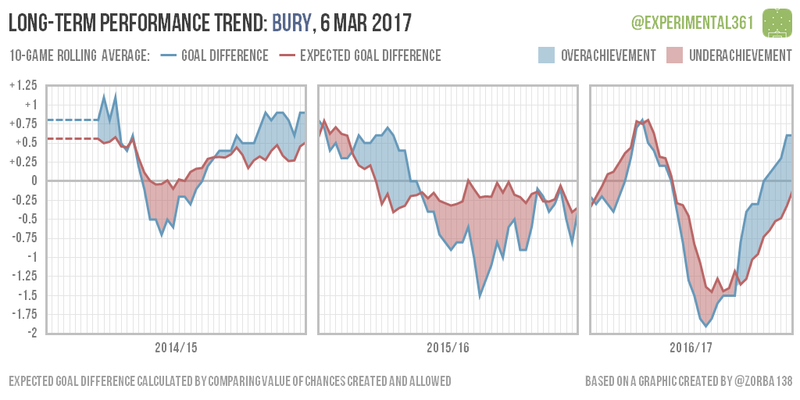 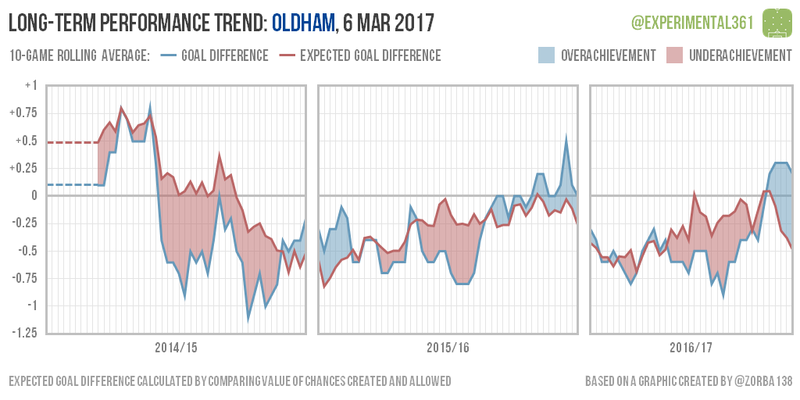 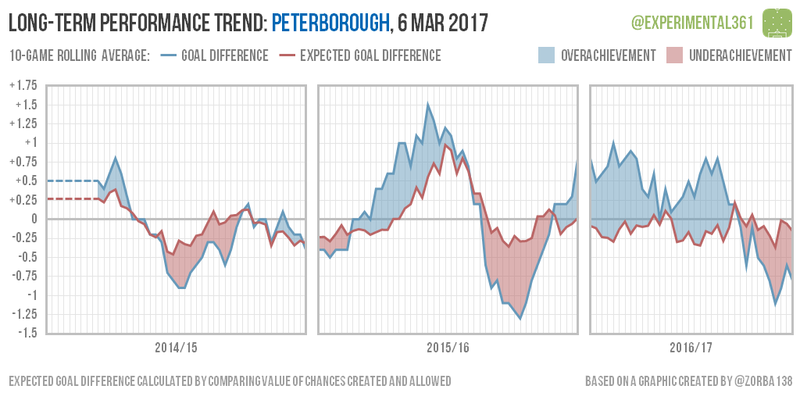 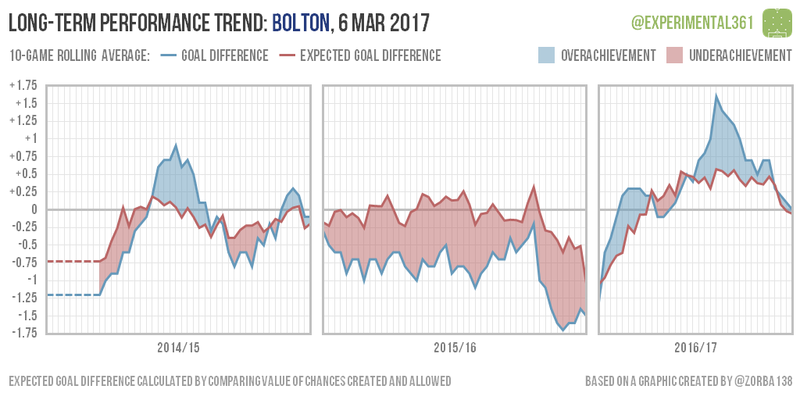 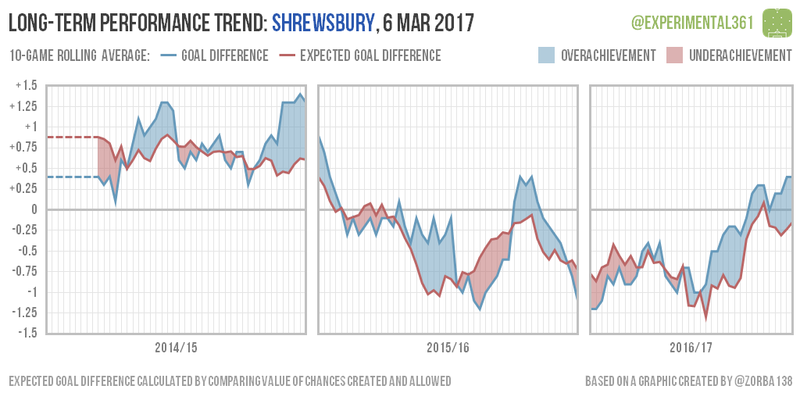 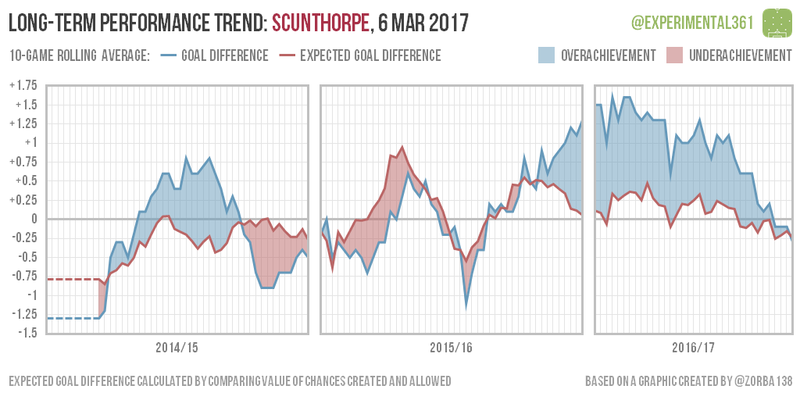 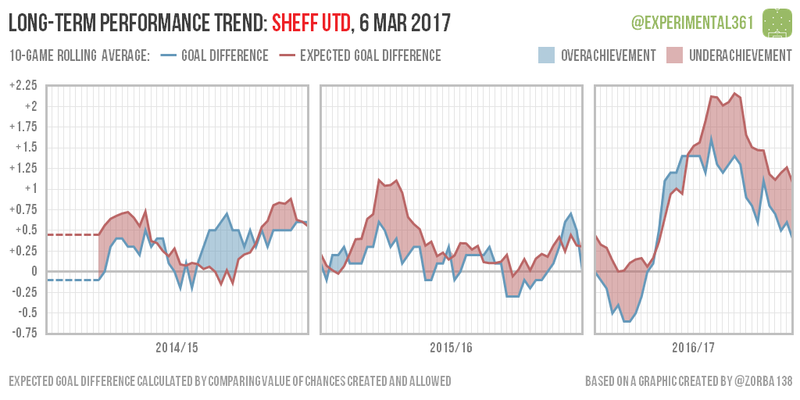 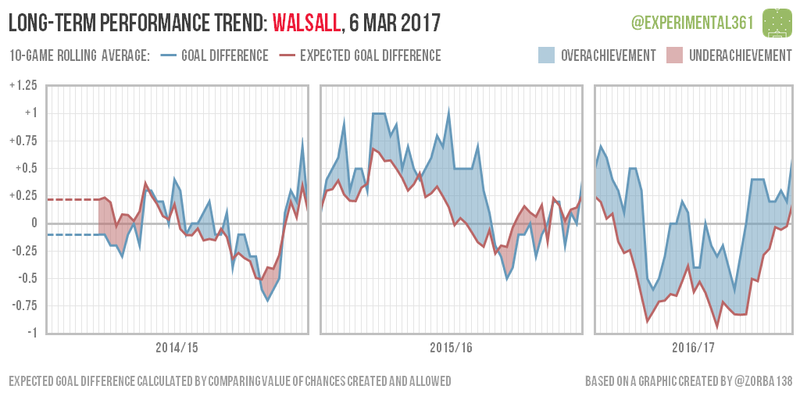 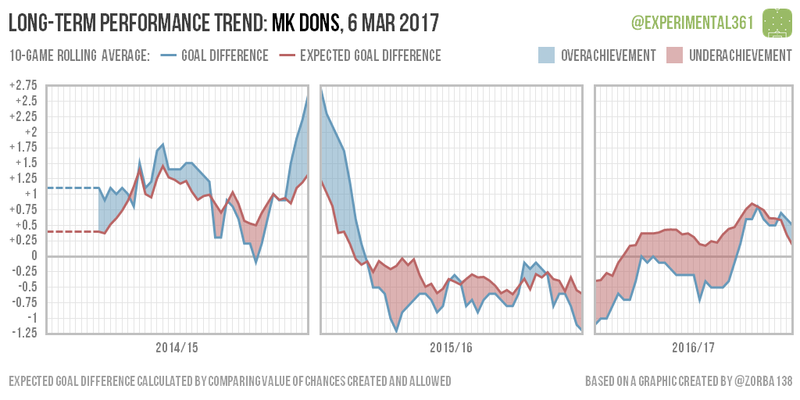 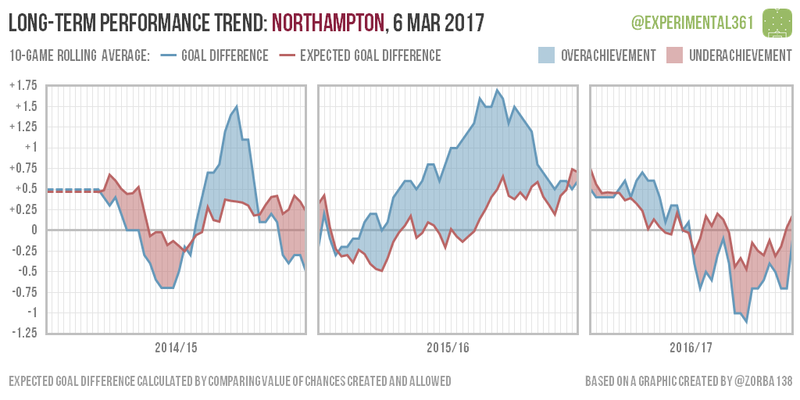 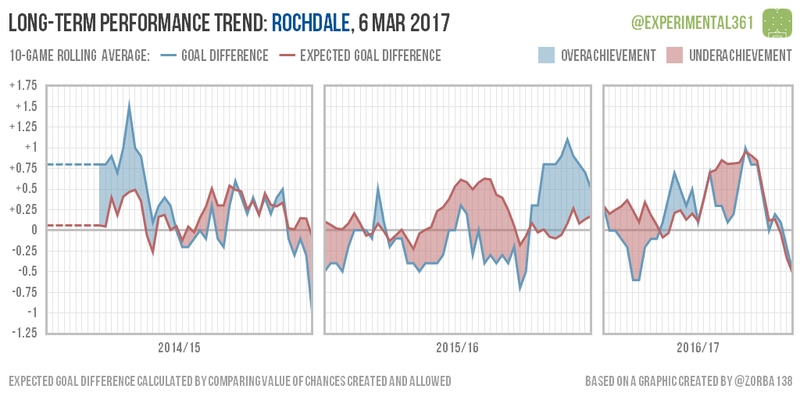 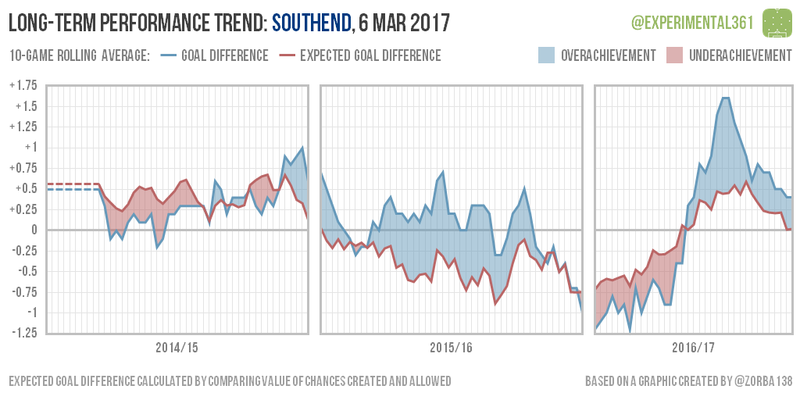 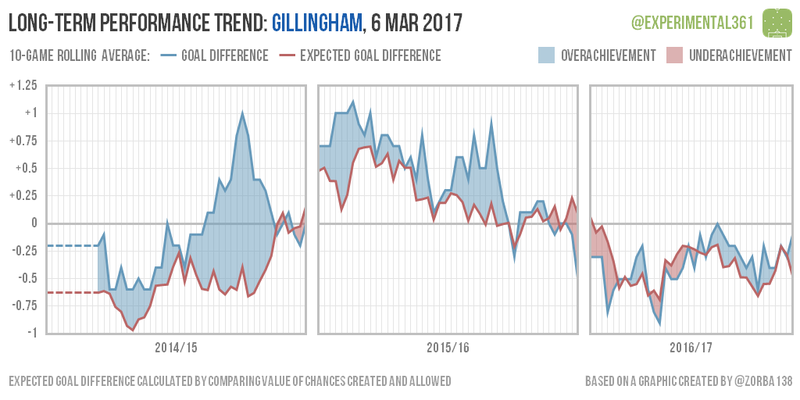 Scunthorpe‘s graph is one of the more interesting here, with a huge blue area of overachievement this season as some unsustainably clinical finishing fired them into promotion contention. 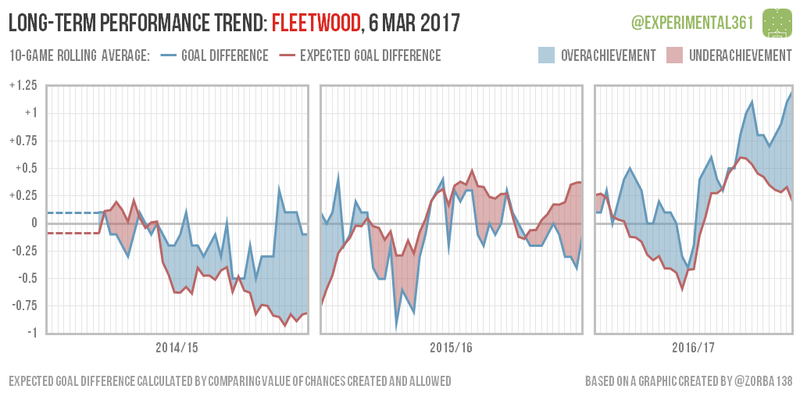 As the season’s worn on, the magic has started to wear off and results are tanking sharply. 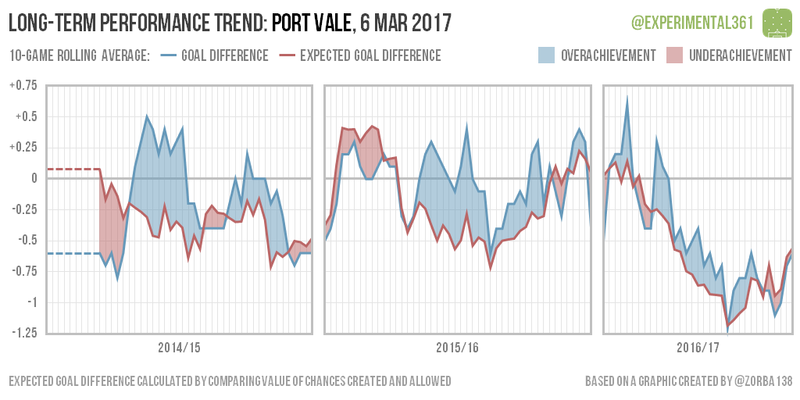 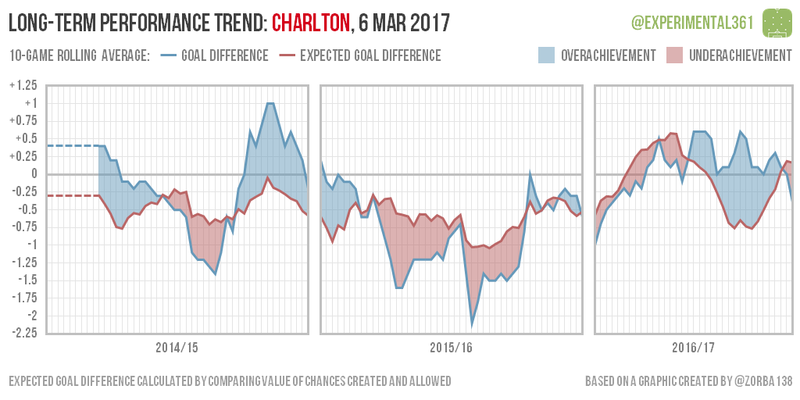 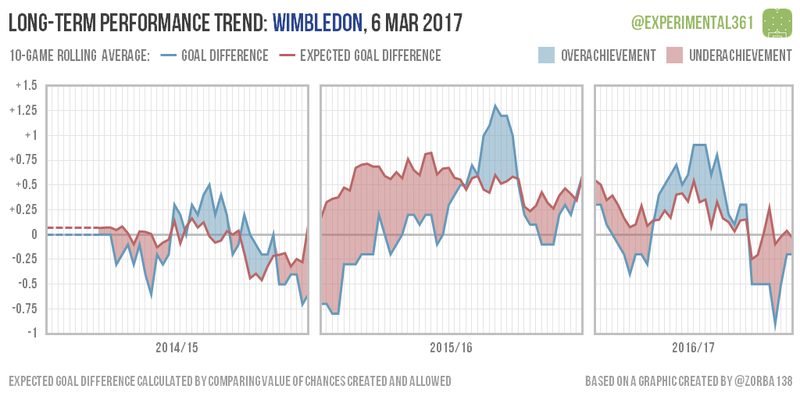 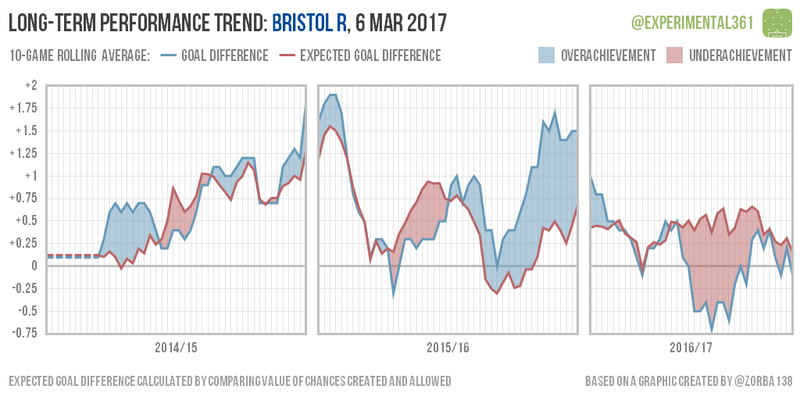 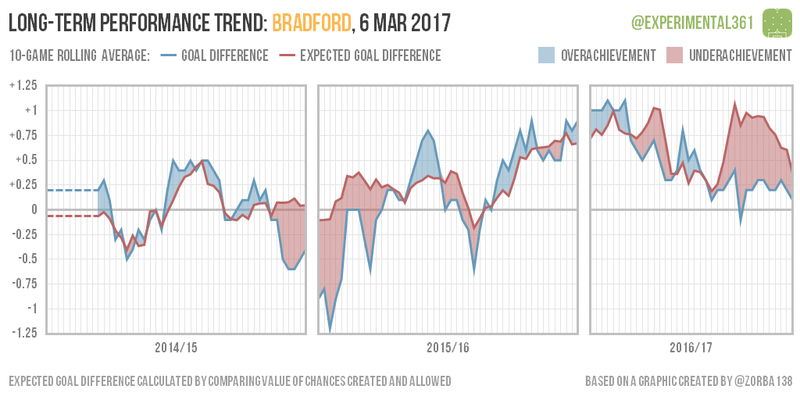 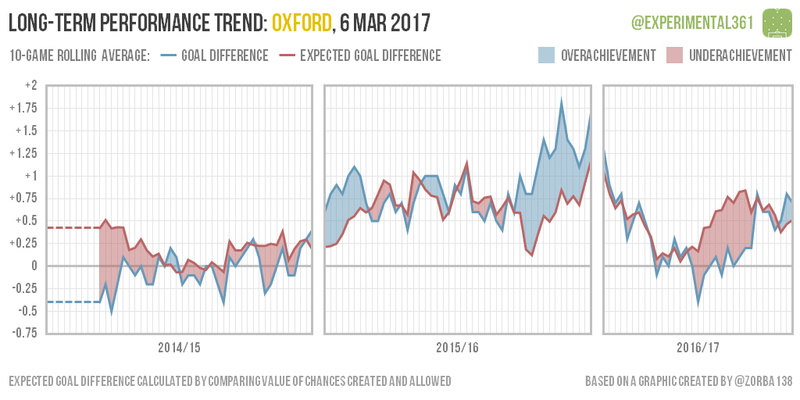 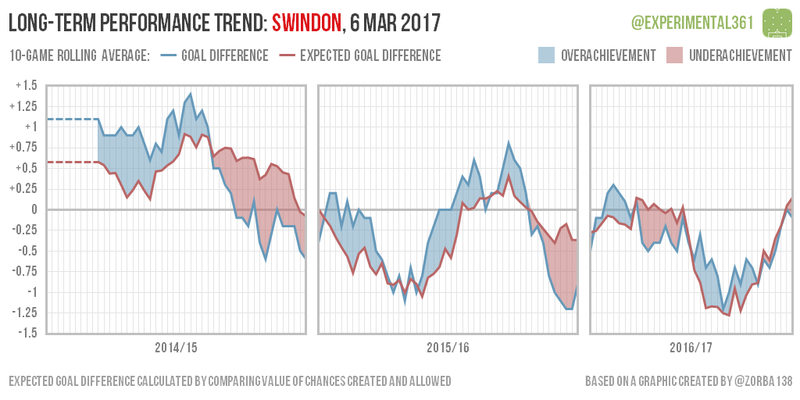 While far from a bad team, performances do look to be in gradual decline and they need reinvigorating to avoid a disappointing end to their campiagn.